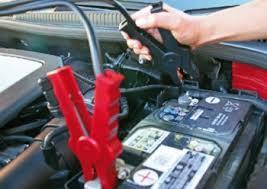 Jump leads. Brilliant. I mean, I realise they have been around a while, and that they are not the most advanced technology we are blessed with in this day and age, but, God love ’em, I was grateful for their existence when my rear car door failed to close properly, leaving the interior light gleaming all night and sucking the life out of my car’s battery. Confined to the village all day, we were unable to go shoppping and run errands, so were therefore forced – I mean absolutely against our will- to spend the day on the sofa watching rubbish films. At tea time, my husband arrived home with these magical cables in his boot. [Update- turns out they had been in my boot all along! Oops. Although I’m ashamed to admit I’d have had no inkling what to do with the things even if I’d realised they were close at hand.] So the car just booted up and sprang into action. That’s it. Fixed. It got me wishing, in my seemingly permanent energy-depleted state, that human bodies could be more like that. If only I could tap into the boundless vitality of my six-year-old, who cannot walk in a straight line without lurching into a cartwheel, cannot utter a sentence without breaking into a song and cannot approach a bedtime without a sudden impulse to read every book on the shelf. If I could convince my lethargic teenage son that all the spare effort that he is simply not arsed to expend right now, in his post A-level, pre-university sabbatical, could just be bagged up, transfused into my system and put to good use. Better use than endless Netflix marathons at any rate. How refreshing it could be to calm some giddy teenage girls who refuse to settle to their silent assessment task in class by offering to divest them of their nervous energy and spend it on keeping me awake through the afternoon double lesson. Maybe even long enough for me to mark said assessments before bed. But sadly bodies don’t work that way. 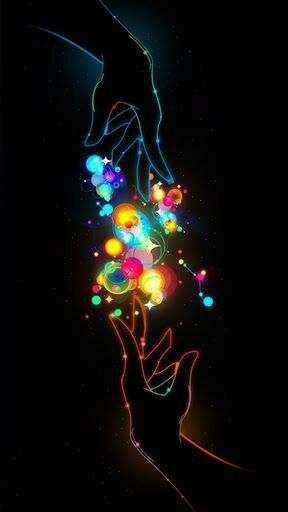 Our physical energy is ours and ours alone. We can expend our allocation on others if we choose, allowing them to save their stash for another day, another task, another occasion, but ultimately we either spend or waste it all ourselves. There is only so much to go around, and we have to make daily decisions as to how this is used up, increased or descreased by diet, exercise, lifestyle or just the people with whom we choose to surround ourselves. Choose wisely. There is no such thing as a human jump lead. And that is where I thought my post ended. About to click the “publish” button, I re-read the final paragraph and realised I completely disagree with myself. Because of course there is such a thing as a human equivalent of jump leads. I have written about many of them already in this blog. So many times in life when I have felt totally and entirely depleted, empty and devoid of all ability to motivate myself, the people around me have arrived, full of spare, freely-given energy, positivity and have re-energised me. “I have energy; you need energy; have some of mine. There you go, all better.” Human jump leads are everywhere, and I am thankful for every single one of them.